Home Blog What are the Options for a Non-Gas Powered Generator? What are the Options for a Non-Gas Powered Generator? If you’re looking for a non-gas powered generator, it’s important to know the pros and cons of other fuel types and how they compare. Cost, efficiency, maintenance, environmentally-friendly – all of these are important considerations. Below is a quick summary of non-gas powered generator fuel types to help you decide which is best for you. Diesel generators require less maintenance and are more efficient than gas generators. Just like diesel car engines, they can run for years with minimal upkeep. Due to this, they are also more durable than gas generators. Diesel fuel also has a longer shelf life than gas, is inexpensive, and ignites at a higher temperature than gas, making it safer. 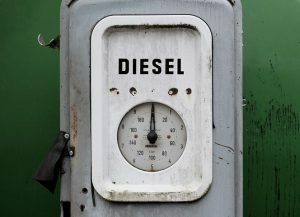 Diesel generators typically cost more than gas generators. Although they are more durable and require less frequent maintenance, this is only the case if they are used somewhat frequently. Diesel generators that sit for years often break down a lot easier. Although diesel fuel lasts longer than gas, old fuel can degrade your engine parts. Provides the flexibility to switch between gas and propane fuel sources as needed. This helps avoid fuel availability issues in times of crisis. Because they can use gas or propane, these are cleaner burning fuel sources. Their ability to run continuously varies greatly. Their versatility often affords a steeper price tag. Comes with the cons of propane generators. Ideal for people who rarely use a generator because the fuel does not degrade in storage. Propane generators typically run quieter than gas generators, and burns cleanly as well. Propane is highly flammable and the fuel tank is separate from the generator itself. For a non-gas powered generator, propane is less efficient than both gas and diesel. If you need more information on what generator fuel type is right for you, feel free to reach out to us at Woodstock Power. Our expert staff would be happy to assist you to decide which non-gas powered generator is right for you.